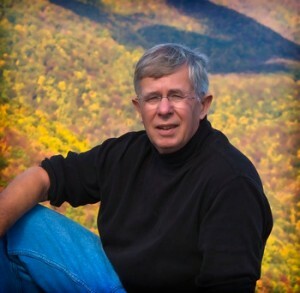 Jim Ruff is an award-winning nature and landscape photographer and a year-round resident of Blowing Rock, North Carolina. He is retired from a successful engineering career in both industry and academia. Most of his career was in diesel engine and off-road vehicle development and management at John Deere. He also served on the engineering faculty at Texas A&m University and as an engineering department head at North Carolina State University. Being a farm boy, Jim loves nature and the great outdoors and use photography to capture and share the beauty of our world with others. He enjoys both the artistic and technical challenges required to transform nature’s glory into stunning 2D images. Subject matter, location, lighting and composition are key ingredients in photography. He strives for uniqueness in at least three of these elements in my images even if it means pre-dawn hikes to mountain vistas or persevering storms to catch that magic combination of light and weather. He has traveled extensively throughout the United States as well as Europe and the Mideast.